We’re almost reaching 2019, meaning you have plenty of time to make this new year the year you try something new. At Dance4Passion we offer a wide range of dance classes in Edinburgh across ballroom and latin dance disciplines including the Waltz, Foxtrot, Cha Cha Cha, Jive and the Samba to name but a few. Whether you want to learn to dance to pick up a new hobby, learn a choreographed routine for a special occasion or try it as a fun activity with friends, our dance classes in Edinburgh can accommodate to all of your requirements. Learning personalised choreography before a special event, such as a wedding, is becoming increasingly popular – in part thanks to the incredible performances seen on programmes such as Strictly Come Dancing. Our experienced dance teachers have performed, competed, and taught across the world and have used their creativity to choreograph personalised choreography for numerous couples wanting to wow their guests on their wedding day. Learning, rehearsing and performing with your partner in the lead up to your special day is a wonderful way to take a break from the stress of organising a wedding, giving you both some much-needed quality time in the days before you tie the knot. Our dance classes in Edinburgh are also a fantastic way to celebrate a milestone in your life such as a significant birthday, retirement, hen party or entertainment for guests at your party. Our teachers have experience in bringing together mixed groups of people from all ages, capabilities, and levels of dance experience to make the classes a fun and entertaining environment for everyone involved. Whether you want to leave with a piece of group choreography you can video and keep forever – or just to have fun on the day, we can adapt your dance class to suit whatever you want! Dance classes are a fantastic hobby to pick up, whether you are a seasoned dancer, or have never hit a step before. Our Edinburgh based dance classes are suitable for people of all abilities, from beginner to expert, and from children to adults. Why not make 2019 the year you try something you’ve always wanted to and take up dance classes with us? At Dance4Passion there are various dance classes in Edinburgh that you can attend. Either yourself or with a group, our dance classes provide some incredible benefits to your health and your social life. 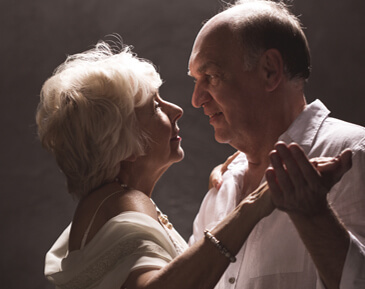 If you think you’d enjoy ballroom dancing why not take a look at our article “Get Involved in Ballroom Dancing” by clicking here? 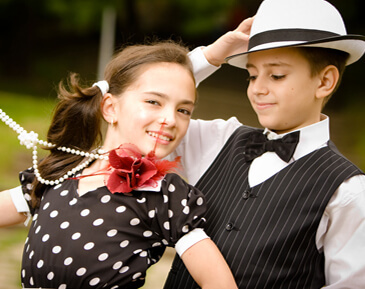 If ballroom dancing isn’t quite your thing, maybe you’d be interested in our latin dance classes. To help you decide if latin dancing is for you, we’ve provided an article “The Benefits of Latin Dance Classes“, click here to read! or just click the Button under to book your dance class. Error: Error validating access token: Session has expired on Tuesday, 09-Apr-19 17:26:27 PDT. The current time is Friday, 19-Apr-19 14:48:55 PDT.